Author : Alphonse Bertillon (1883-1914). 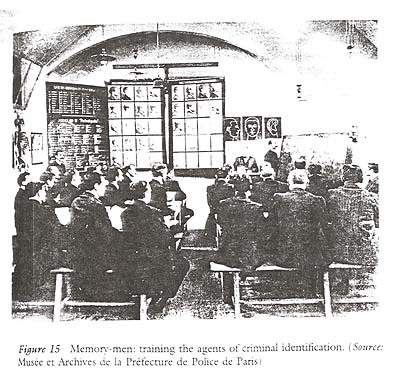 Paris police recruits being trained in methods of identification. The influence of Bertillon’s methods can be seen in the full-face and profile drawings in the middle left of the picture.